Hi everyone, how exciting, it's the first challenge for Little Tangles and the theme is Say Hello! 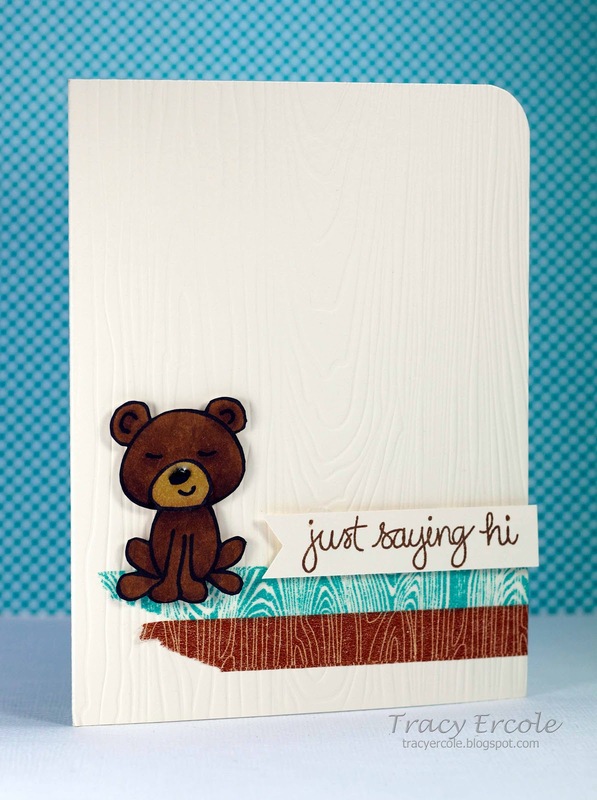 For my card I used the adorable bear from the Little Bear stamp set, and the sentiment is from the Just Hello set. 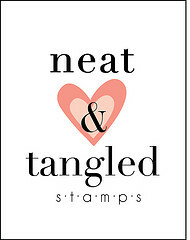 When participating in the challenges, we encourage you to use Neat & Tangled stamps, but it is not required. If you don't have any Neat & Tangled stamps yet, that's okay, please still play along, and there are some FREE digital stamps over on the Little Tangles Challenge Blog you can use as well! I can't wait to see what everyone comes up with! By playing along you have the chance to win one stamp set of your choice from Neat & Tangled stamps so make sure you link up your creation over on the Challenge Blog, you have until Sunday, November 25th at 11:59 EST. This is darling Tracy, what a sweet little bear! Your wood grain accents go perfectly with him! He is so cute and I love that washi you used! This card is sooooooooooo cute!!!! ADorable card! Love the woodgrain in different colours!